Ed, I see your family went on Sunday. On Saturday they had tomato eating contests and I believe there was a salsa recipe contest as well. There were two growers represented in the tomato sales area. 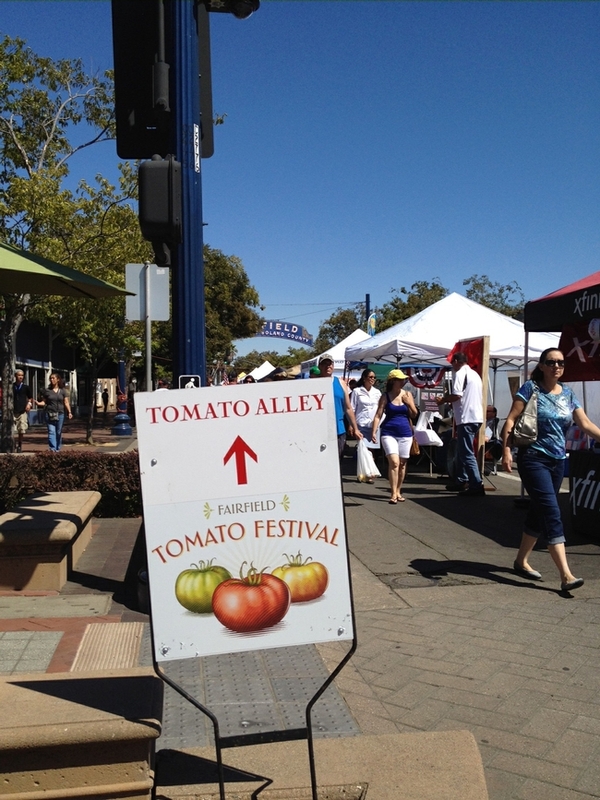 I think this year with the shutdown of the redevelopment agency, which was the major sponsor in the past, we were lucky to have a Tomato Festival at all. In previous years there was a tomato costume contest and there were showings of "Attack of the Killer Tomatoes", but this year the Center for the Creative Arts had been closed down. Our booth(the MGs) had two tomato posters.